Cold Creek Excavating Ltd is family owned and operated to provide our customers with personalized service and attention to detail. At Cold Creek Excavating we go beyond expectations on every job and using our expertise provide the highest quality workmanship, reliable advice, experience, knowledge, safety, and competitive prices. 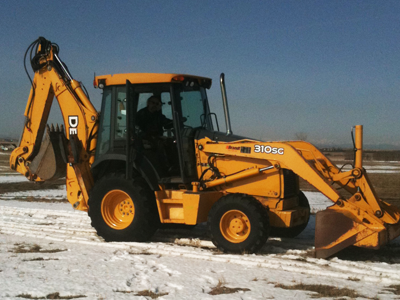 Cold Creek excavating Ltd was founded in 2006, however we have 25+ years in excavating experience. In addition to our excavating we also design septic systems and do installations PSDS (Private Sewage Disposal System) certified which meets or exceeds the requirement of Alberta private sewage systems standards of practice for private sewage.